One of the most sought-after services we offer treatment centers is ongoing content creation, web optimization and site enhancements. These are vital to staying relevant online, especially in such a crowded space where you’re trying to be stand out among thousands of treatment centers and millions of web pages. 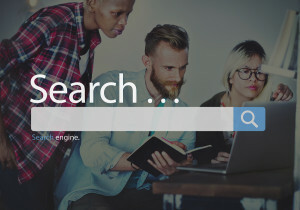 There are some very basic steps that we use to help facilities not only improve their search rankings for their desired keywords, but also to STAY there. This is a key factor that many people overlook, as they hire “SEO Companies” to push their sites up through illegitimate practices that then get them banned or penalized by Google. There really is no magic formula, and we have helped organizations with much smaller budgets not only compete with larger treatment centers, but in many cases outrank them as well. While the look and feel of a site is definitely important, what it says is even more important. Written content provides the backbone of the interface between you and your users as well as the search engines. How much content you have, how new it is, how well it is written and how relevant it is to your topic are some of the main factors of content ranking. Routine blogging and article writing is one of the best ways to continue keeping your site relevant. There are also other forms of content that are useful, especially videos. Video content is often more engaging for users and offers a richer and more robust overall experience for your site. Written content, videos and images can all help complement each other. A lot of centers aren’t sure exactly how their social media accounts can or should be used, but they do know they need them. The necessity of the types of accounts can vary, as it might not make sense to use certain ones if you don’t have the right content for it. There are also different uses for social media, such as general user engagement, promotions and content sharing. We tend to focus on the latter, but they are all important and serve their purposes and customized campaigns can be created for each. Lastly, websites today have to be mobile-friendly. Everything is going mobile, and there are actually more searches conducted now on mobile devices (including smartphones and tablets) than on other types of computers. If your site does not display well or convert to a mobile-friendly platform, it can have a negative impact on your search positioning, as it is one of the many factors that Google considers when displaying search results. If you are considering upgrading your website or would like to improve your search engine rankings, contact us to set up a consultation to see how we can help.